Dorrian is currently focused on building his new company Vestaboard, a split-flap display for sale. Vestaboard is set to start shipping its first units in 2019. Mozes was founded in 2005 and acquired by HelloWorld (now Merkle) in 2012. HigherMarkets was founded in 2000 and acquired by SciQuest (now Jaegger) in 2002. Dorrian enjoys helping other companies get started. “A ship in harbor is safe — but that is not what ships are built for.” - John A. Shedd. Whiskey9 was a joint development project with Jason Tokoph. In 2017 the Whiskey9 software was sold to Nonagon Group where Northern Imagination retains an ownership stake. dailyKarma, run by Patricia Dao and backed by Anand and Rajeev Mecheri, allows individuals and companies the ability to create Cause Funds as a way to contribute to and promote their favorite charities. Sharethrough was founded by Dan Greenberg and others. Dan turned down an offer to join Mozes full-time so he could start Sharethrough, the creator and leader in native digital advertising ("content, not ads"). Dohje was founded by Amanda Krantz in 2014 and is dedicated to building the largest thank you network in healthcare and beyond. Dorrian serves as a sounding board to Amanda and advisor to Dohje. We love to create video. We also crowdfunded a statue of Nikola Tesla in the Silicon Valley in 2013. The Kickstarter campaign in 2013 to fund a Statue of Nikola Tesla in the Silicon Valley was the most successful Kickstarter for a public art project to that point. The statue emits free wi-fi and and has a time capsule that will be opened in 2043. Tesla pitches Silicon VCs: Dorrian wrote and produced a cartoon imagining what it would be like for Nikola Tesla to pitch modern day Silicon Valley VCs. 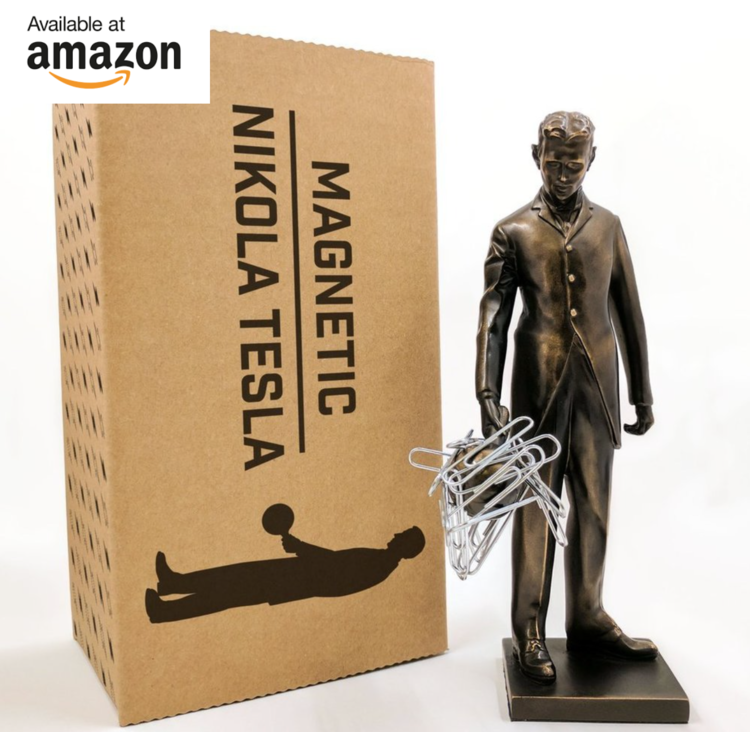 You can purchase a replica of the Statue of Nikola Tesla in the Silicon Valley on Amazon.